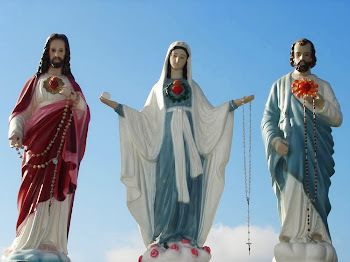 Since Februray 7th, 1991, Our Lord Jesus Christ, Most Holy Mary, Saint Joseph , the Holy Ghost, the Angels and Saints, have been appearing daily in Jacareí, São Paulo, Brazil, at 6:30PM (Brasília time). 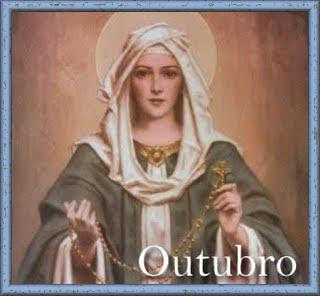 She introduces Herself as Queen and Messenger of Peace and makes one last call to conversion, through a Young man: Marcos Tadeu, who in the beginning of the Apparitions was only 13 years old. They are the most intense Apparitions in the history of our country, and Most Holy Mary says that they are the last Apparitions for Humanity. 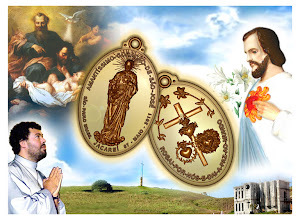 The Mother of God asked that would be done every day, at 8 PM, the Holy Hour of Peace, so that families convert themselves and the world has Peace. She promised Her protection to the families who do it every day. Our Lady says that the Apparitions of Jacareí and of Medjugorje (ex-Yugoslavia) are the continuation and the CONCLUSION of Fatima. “My beloved brethren, I, Sebastian, servant of the Lord and His Martyr, come today once again, for the second time to bless ye and give ye My Message. I love ye with all My Heart! I cover ye always more with My protection every day of your life. I come to ye to call ye today to truly be carnations of love for the Lord and for the Mother of God. Be carnations of love for the Lord and for the Mother of God, making your life a great and perfect hymn of love to Them, giving Them your heart, living to honor them, obey Them and make Them known, so that in your simple and every day life, everyone can see and recognize the magnificence of the love of the Lord and of His Mother and thus, everyone, drawn by the mellowness of the perfumes of your Virtues and at the same time by the hidden charm of the spiritual beauty of your soul, also want to love God, serve Him and donate themselves to Him whole-heartedly. 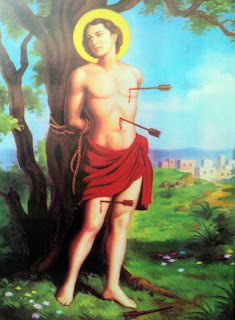 Be carnations of love, giving the Lord every day: LOVE FOR LOVE, EVERYTHING FOR EVERYTHING, LIFE FOR LIFE. 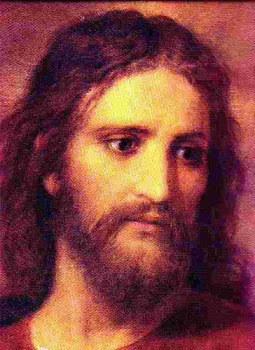 Since He has given ye all His love and gave ye His own life, dying for ye on the Cross, give the Lord: all of your life, all your existence, each one in the vocation to which he was called, but loving the Lord with all your strength, with all your soul and loving nothing outside of Him nor more than Him. Thus, your soul, like a beautiful and scented carnation, truly, will be a sign of God’s love in this world and will be pleasing to God’s eyes, because then your life will prove your love for the Lord and then He will delight with you and will come live in ye. Be the carnations of love to the Lord, truly giving to Lord the proof that you love Him, renouncing sin, renouncing yourselves, making war to your flaws and your sins and never conforming yourselves in praying and living in peace while having evil inside of ye. But then, truly fighting your corrupted self, you can testify to God and to men that your love is real, that your faith is genuine and thus, from ye and through ye, the light of the Holy Spirit can burst powerfully upon all those who lie in darkness so that they also recognize their spiritual death and also renouncing their sin and the evil that is in them, strive to also convert themselves and be holy. Ultimately, I call ye to a heroic faith in God, a faith similar to the one I had, a love that suffers everything, that makes ye willingly accept the crosses, the sufferings, the pains of this life before reneging by words and deeds to the love of Jesus. Have a courageous faith, like Mine was, to the point of sacrifice of martyrdom, so that then, you can one day live with Me in those immense heights of Heaven where I am in one of the places in which the Angels who fell left empty. Yes, I Am one of the most supreme saints of Heaven because I loved a lot and I testified My love for Jesus with My own blood. Come brethren! Follow on the road of spiritual perfection. That from now your biggest and only wish be that you may become great saints, because what this world needs most nowadays is of true saints, who with word and with life are more that what they speak, be more than what they seem and truly conquer souls for God with the true and perfect charity and with works born of this charity. I bless everyone generously at this moment. 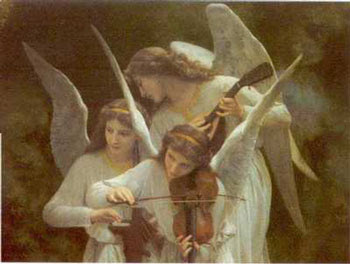 I bless this Place that is so dear to Me, that I favor so much and for which I have a very special protection and care. And I also especially bless you, Marcos, who during all your life you never forgot Me on My day, however you are or however busy that you are. To you, who every year accompanied My procession with devotion and love on My Day, I now bless generously and to all My true devotees. "-My child, my child! It is necessary to sanctify yourself. Sanctity is a difficult path, but... its end is real and glorious." Message of Jesus Christ (February 21th, 2012) ..."LOVE ME, KISS MY FACE LOVINGLY, AS DID MY BELOVED APOSTLE JOHN, AND I THEN, WILL RECLINE YE ON MY CHEST ON MY HEART, AND WILL MAKE YOU FEEL THE BEATS, THE THROBBING OF LOVE OF IT FOR YE, AND FOR ALL MY CHILDREN OF THE WHOLE WORLD..."
FIRST MESSAGE-MESSAGE OF OUR LADY COMMUNICATED TO THE ELECTED SEER MARCOS TADEU TEIXEIRA. 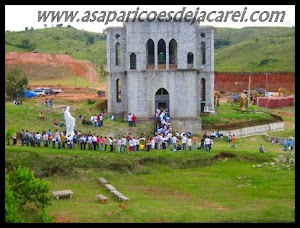 On last February 7th completed 20 years old of the greatest apparitions of Our Lady in Brazil. More than 2.000 messages have been given since 1991. Our Lady, Our Lord Jesus Christ, The Holy Spirit, Saint Joseph, Lots of Saints and Angels have been appearing on these blessed apparitions and they have been giving messages. The Beauty Lady In Jacarei apparitions, The Blessed Mary, Mother of God, has been appearing as a beauty 20-year-old girl. Her voice looks like a sweet and harmoniously song. She has blue eyes and long dark hair. Normally, she wears a gray dress and on head she wears a white robe which let down up to her feet. On head, she brings a crown with 12 stars. Her feet are on a cloud that doesn't touch the ground. Our Lord Jesus Christ has been appearing as a 30-year-old men. He has blue eyes and little beard. He wears a white tunic with a gold belt. Saint Joseph has been appearing as a 30-year-old men. His eyes are green, brown hair and little beard. He wears a beige or white tunic. His feet are on a cloud that doesn't touch the ground. 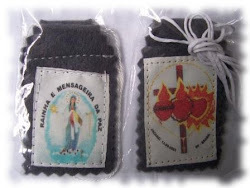 It was reveled on Jacarei Apparitions by Our Lady on November 08th, 1993 . 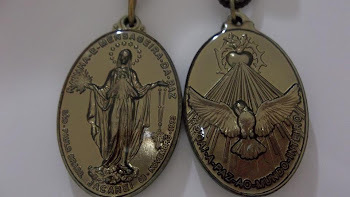 Message of Our Lady " This Medal, Grace of Love peculiar of My Heart, It is to be wear for everybody who wants peace... Everybody that wears it, will receive great grace by my heart ... They will bring peace where there is war ... Their family will be replete of Peace and Love... Satan will be aghast when see this medal and he will flee in the presence of who bring this Medal with Love and Devotion." It was reveled on Jacarei Appearances by Our Lady on September 13th, 2003 . She promised to give peace, salvation, mercy to agonizing and great graces to everybody who uses this Escapulary for whole life. It was reveled on Jacarei Appearances by Saint Joseph on May 07th, 2011. Mensagens de Jesus e Maria aos seus filhos!!! Lançamento: Novo livro das Mensagens! JACAREÍ:A CASA DA RAINHA E MENSAGEIRA DA PAZ.